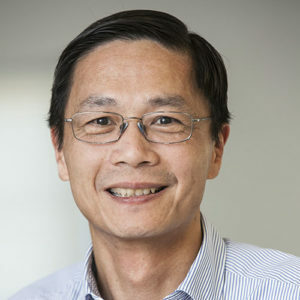 Annapolis, MD – Link Labs, Inc. a leading innovator in low-power, wide-area networks for the Internet of Things (IoT) announced today that Patrick Li has joined Link Labs as Vice President of Engineering. Patrick will be responsible for leading Link Lab’s R&D team designing hardware and software for Link Labs’ LPWAN products including wireless end-modules, wireless access gateways, and the cloud management system. Patrick brings 29 years of systems engineering and HW/SW development experience with Alcatel-Lucent Bell Labs, Nortel Networks, and Aruba Networks in wireless infrastructure systems spanning CDMA, UMTS, LTE, and Wifi. Earlier in Patrick’s career, he was responsible for building R&D teams in China for Alcatel-Lucent and transferring CDMA base station and MSC product development responsibilities to the teams in China. Patrick’s experience in building and working with high performance multi-local R&D teams as well as his insights into wireless systems is well suited to working with Link Labs’ customer to address their end-to-end solution needs and growth aspirations. Patrick holds an S.B. and S.M. in Electrical Engineering from Massachusetts Institute of Technology. Link Labs is a leading innovator in low-power, wide-area network technologies for the Internet of Things (IoT). The company’s patented Symphony Link technology provides secure, two-way, low data rate, long range wireless connectivity for Internet-connected devices. Link Labs also supports LoRaWAN and LTE Cat-M1. Link Labs has customers around the world and powers a range of IoT applications across industries, including smart cities, agriculture, building controls, automotive, healthcare, government, defense, retail, and utilities. For additional information, visit http://www.link-labs.com or follow us at @LinkLabsInc.